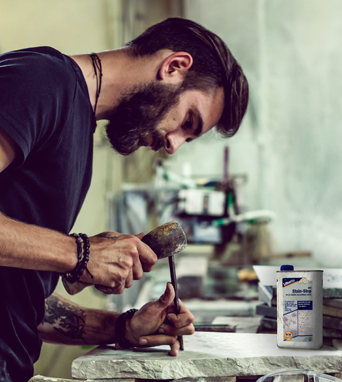 Super White Dolomite – The new standard in grey. 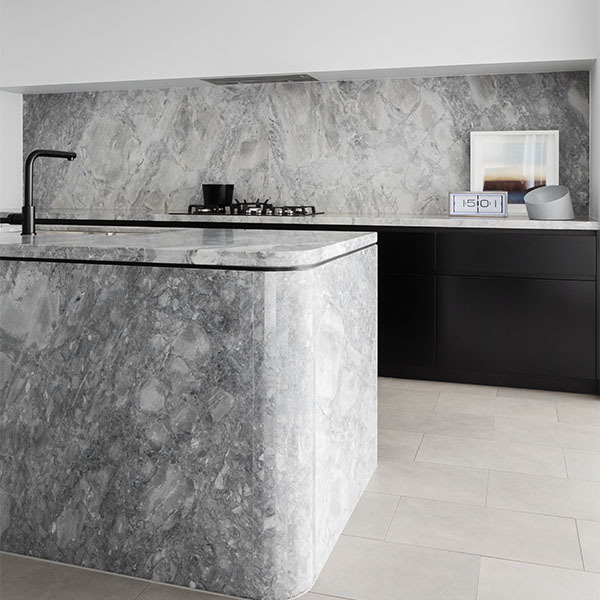 Providing a sharp, bold veining, Super White Dolomite is set to be the most sought-after stone of 2019. Balancing both highlights and shadows, whites and blacks, Super White is simply breath-taking. Asserting itself’s as a dominant force in the minimalist movement, Super White Dolomite emphatic yet elegant. 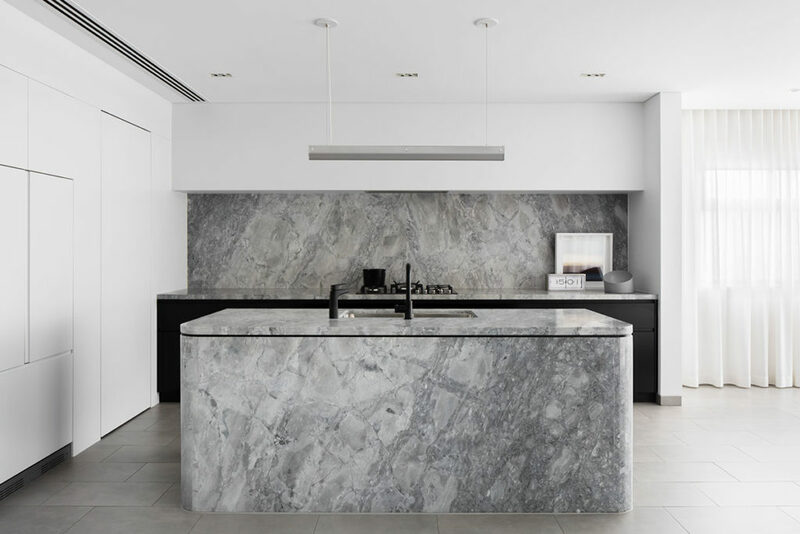 Designed by Baldwin & Bagnall and built by Topaz Group, this impressive kitchen highlights the contrast between Super White’s stark veining and the interior’s defined symmetrical lines. Featuring a daring curved benchtop, this design reverberates an alluring aesthetic. 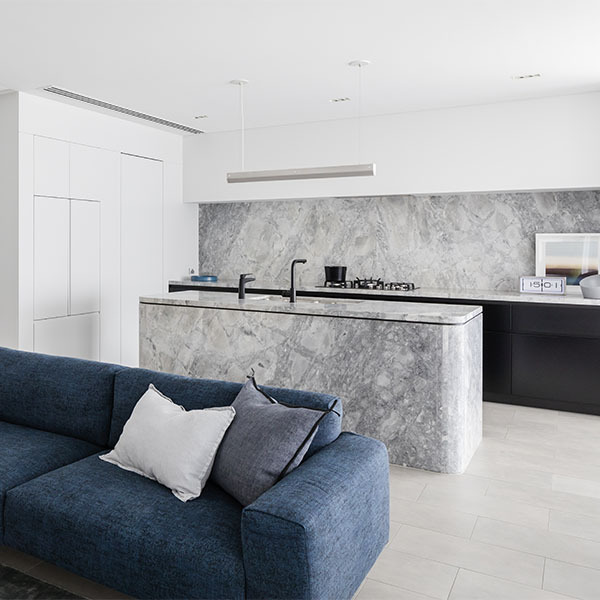 Moving away from common white and grey marbles, Super White Dolomite is sure to inspire the best contemporary designs of the year.